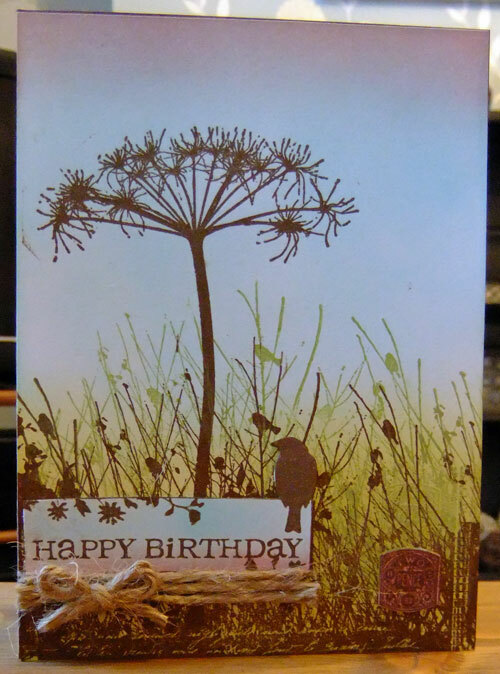 This is a birthday card I made a while ago for my good friend Ruth. 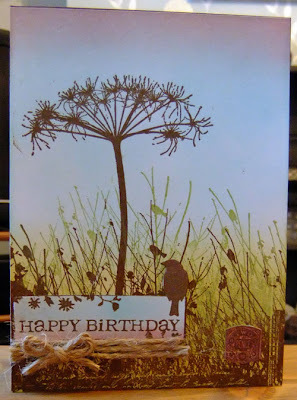 The stamps are PaperArtsy Hot Picks and Inkadinkado. The background is simply inked with a blending tool. The design is inspired by a project Leandra Franich did for Craft Stamper magazine. Wow this is gorgeous Katy...I love it!!! This is beautiful! Absolutely gorgeous! A beautiful card- wonderful elements and color use. soft and expressive! Truly spectacular! I love the depth of color you achieved...stunning!